I love to eat watermelon and that goes the same for wearing watermelon too! 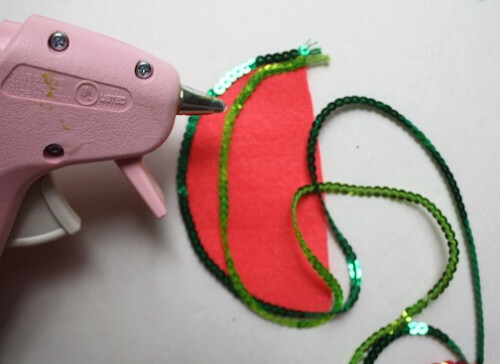 Here's an easy DIY to create a sparkly watermelon that works for shoe clips, hair clips, or even just a pin! 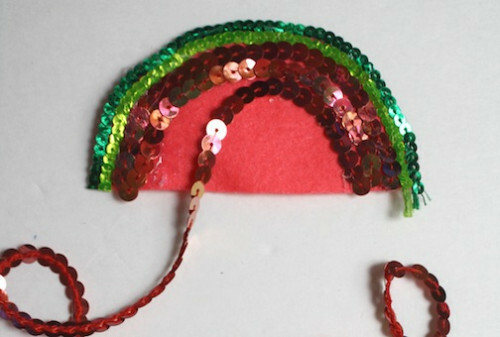 Just three shades of sequins (pink, lime green, kelly green and black if you want to create seeds), a piece of felt for the base, and a glue gun is all you need to make this adorable accessory. First, trim the watermelon shape out of the piece of felt. I cut a semi-circle from the felt freehand, but feel free to use the bottom of a cup, bowl, Tupperware, etc. to create a perfect round edge. The two green shades of sequins will act as the skin and the rind to the watermelon. 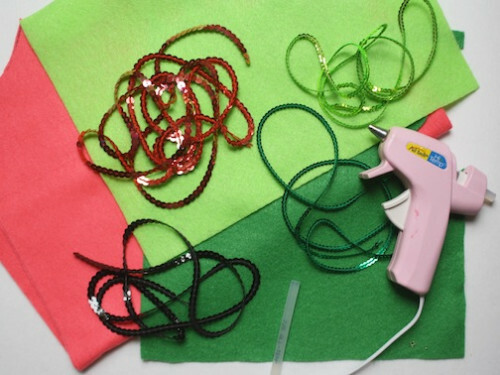 Glue the darker green sequins down first, on the outside of the felt, and then glue the lighter shade of green right next to it. Next start gluing down the pink sequins, going back and forth on the felt. Keep placing them down as close to the sequins next to them as possible. Once all the pink sequins are put down, your melon will be taking shape!! ...and glue them onto your patch. 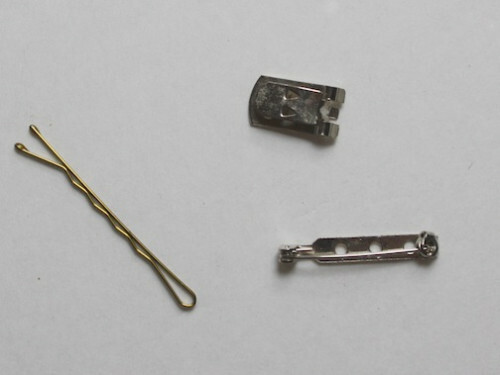 Depending on where you want to wear your patch, affix shoe clips, a hair clip, or a pin to the felt backing. I wanted something for my hair, so I turned my melon into a clip! How cute is this for summer?? It's the cutest accent to add to a denim jumper (like I did!) or just a t-shirt and jeans. Sequins just aren't as juicy as the real thing! !